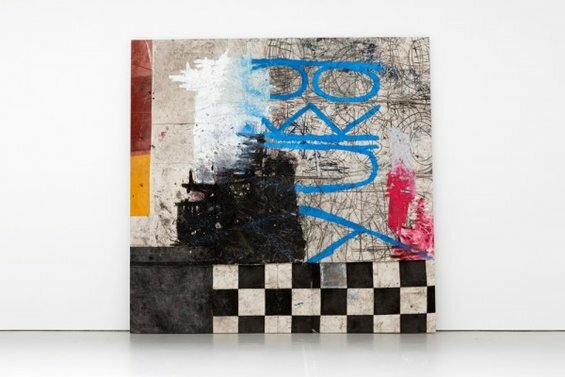 Somewhat of a celebrity, Oscar Murillo (born 1986 in Colombia) is a painter best known for his large-scale works. His paintings imply action, performance and chaos and some are methodically composed of stitched canvases. He often incorporates text and dust into the pieces, in order to physically connect the work to his studio environment. Though he is relatively new to the art world, his works have sold for very high prices at auction, making him a highly sought after artist. He currently lives and works in London. Murillo's work is currently on view in a group show at MoMA in New York City titled The Forever Now: Contemporary Painting in an Atemporal World, through April 14, 2015. 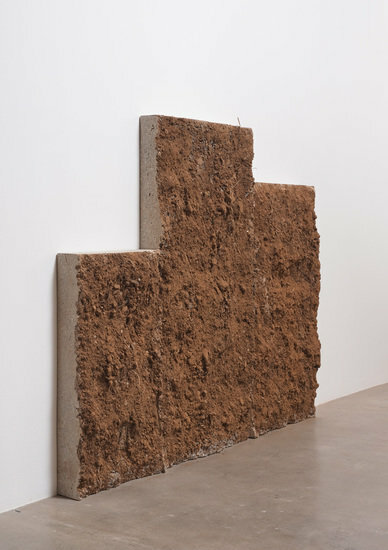 Shana Mabari is a Los Angeles-based artist who explores the intersections of art, science and technology through sculpture. 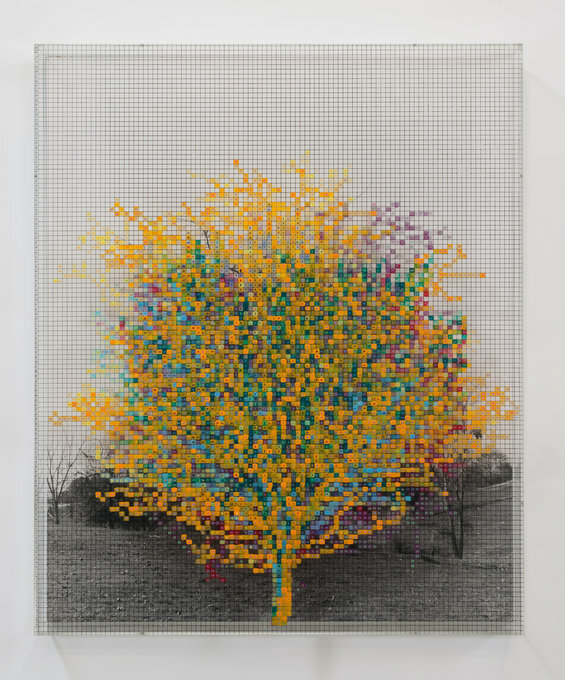 Her work investigates ways in which we perceive stimuli both sensorially and visually while she uses light, color and geometry to play with andexpand the experience of physical space. Her public art project Illumetric, a triptych of massive diamond, cube, and rectangular sculptures for the City of West Hollywood's Art on the Outside program, was installed on the median of Santa Monica Boulevard at Holloway Drive in July 2014. Illumetric's internal LED illumination switches on nightly at sundown adding radiance to the streetscape. Mabari is also currently showing sculptures at Imago Galleries in Palm Desert, CA. Kenyatta Hinkle is an interdisciplinary, Los Angeles-based visual artist, writer and performer who is interested in the complexities of history and power and how it affects our contemporary world perspective. Hinkle interrogates the power dynamics between the gaze, the subject, and the viewer and often uses the idea of the black female body as a prototype for both exotic beauty and repulsion. Her work has been shown at The Studio Museum in Harlem and she was the youngest participant in the Made in LA2012 Biennial at the Hammer Museum in Los Angeles.